As expected, the House of Representatives today easily passed 385-34 a three-month extension of the federal surface transportation programs that would keep funds flowing to the states through October 29. The measure would generate $8 billion in new Highway Trust Fund (HTF) revenues to prevent the U.S. Department of Transportation from having to slow down reimbursements in August for already underway federal-aid projects. The House had previously approved a five-month extension that also would have provided $8 billion in additional revenue for the HTF. With the Senate moving towards passage of a six-year highway/transit program reauthorization bill on July 30 and the House adjourning today for its six-week August break, House and Senate leaders crafted the three-month plan as a compromise between the two chambers’ divergent approaches and to ensure the temporary continuity of highway and transit funds. The House Transportation & Infrastructure Committee is expected to work to produce a multi-year surface transportation reauthorization bill in September. The three-month extension provides sufficient time for the House to pass its bill, and for the House and Senate to reconcile the differences between their respective proposals. While enactment of another short-term program extension is certainly not ARTBA’s desired outcome, passage of a six-year reauthorization bill in the Senate and plans to move a multi-year bill in the House during September is significant progress. It should also be noted that, until this week, neither chamber had approved any surface transportation legislation longer than two years since 2005. A great deal of work remains, however, and our immediate challenge is securing passage of the Senate’s six-year reauthorization bill with the largest majority possible. If you have not yet reached out to your senators, please do so and ask them to vote “Yes” on the DRIVE Act. 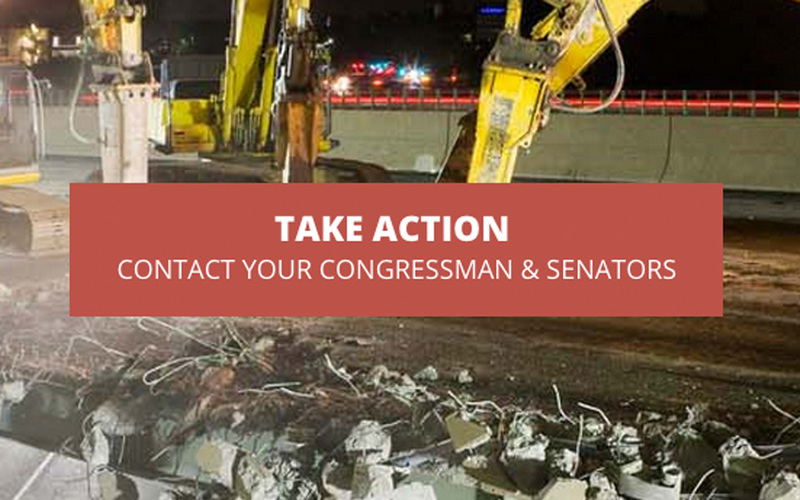 You can use the ARTBA Grassroots Action Center: http://www.tmaw.com/take-action/.